Clean-Peel™ comes in three sizes: Small 2" × 3", Medium 2.75" × 4.25" and Large 3.5" × 5.5"
This material provides robust performance in cold temperature applications and has high bond strength through a broad range of temperatures. This material has excellent durability, is moisture resistance and a cold temperature application performance. Thanks to a high pressure sensitive adhesive, our All Temperature labels can securely hold up in both room temperature and colder temperatures. There are two types of Bopps typically used, A White Bopp and a Clear Bopp. White Bopp: This is a glossy white polypropylene film that has proven to be durable with excellent moisture resistance. It has a good general purpose adhesive that sticks well to many different surfaces. Clear Bopp: This stock is a clear stock and when applied it typically appears as if there is no label. With a general purpose permanent adhesive it sticks well to many surfaces. This material has good durability and has excellent moisture resistance. These kits are very helpful to our customers. 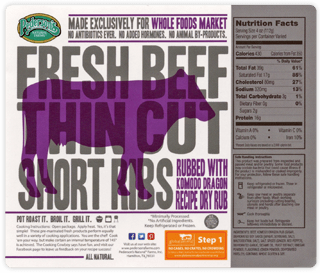 Multiple die cut labels are on a single sheet for easy application and inventory control (i.e. 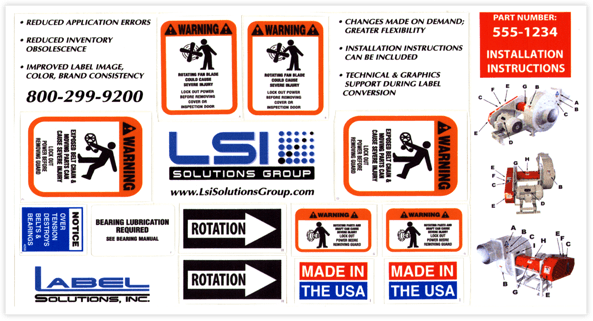 a “sticker sheet”). 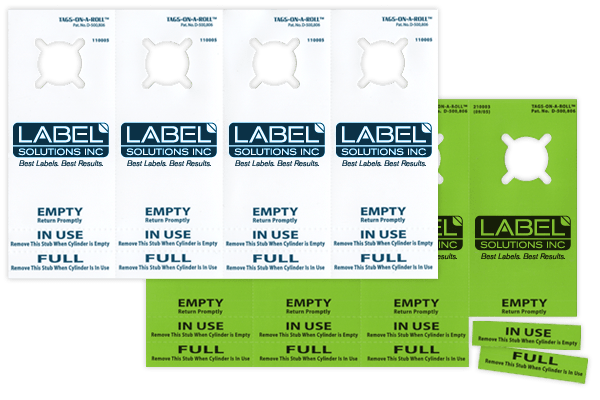 Having all labels on a single sheet reduces the chance of application error and allows the customer to eliminate multiple rolls of individual labels in inventory. We are capable of producing many types of customized variable data labels including: Variable and sequential barcodes labels, Variable images and Variable text. Working closely with our digital department, we can supply you with multiple images, data, text or barcodes on almost any label design. Variable barcodes: When you provide us with the barcode information we can print any number of variable barcodes, whether sequential or for inventory or lot tracking—or any other use you might have. Variable text: To appeal to the different segments of your customers, we are able to change what the label says, without changing the design. You will need to provide variable information in a spread sheet in CSV format. Our digital front end professionals can help you get it set up, so it meets our required specs. Variable images: Whether it’s line art that needs to vary, tiff or jpg images we can make it happen. Tags on a Roll® is our patented product that helps you save time and money. 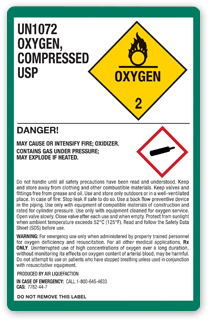 With two sizes available, you can easily label indoor and outdoor welding, compressed gas and medical applications. This product is also perfect for announcements, open houses, new products and promotions. It’s fast, easy application helps you save time and money. Tag Size 2.0" x 4.875" 5.0" x 9.0"